The DA’s alternative health plan for South Africa: Yes or No? There’s no arguing that South Africans, especially the poorest of the poor, have a Constitutional right to access healthcare services. Whether it should be free for everyone at the point of care, as is proposed by the government’s National Health Insurance project, is however up for debate in a country grappling with a health system badly in need of some treatment of its own. The Democratic Alliance says it has the answer, offering in its Our Health Plan for Universal Health Coverage an alternative to the National Health Insurance (NHI), which it says it can deliver in just five to eight years. In the case of the NHI, the national health department published its latest policy proposals in the Government Gazette on December 10 2015, and the comments and representations on the White Paper continue to roll in. But estimates are that it could take as long as 15 years to implement. The DA argues for its plan with a stance with which it’s difficult to disagree; that for too many years South Africans’ circumstances of birth have determined access to life-saving healthcare. Everyone will also likely agree the status quo entrenches inequality and skews access to quality healthcare. But the truth is that rhetoric won’t take the country any closer to actually achieving desperately needed equity in the healthcare arena. The DA’s plan is well-researched and rich in detail; the common complaint across the board has been that the opposite is true of the NHI, even at this later stage in its road to implementation. DA health spokesman Dr Wilmot James says his party’s plan is affordable for South Africa, and can be implemented within the existing health budget. There would be no new taxes; to free up resources, he said, they proposed realising an additional R6billion to boost the health budget by bringing the current medical aid tax credit of R17bn on budget. The remainder (R9.43bn) would go towards helping reduce medical aid costs, by subsidising, and so reducing, members’ monthly contributions. “This would mean that medical contributions would no longer be tax deductible,” James explained. Predictions for the NHI, on the other hand, are for costs as high as R256bn by 2025, according the White Paper estimates. News reports in July this year also had several commentators warning these estimates were done with an optimistic assumption of 3.5 percent annual economic growth. In addition, while a number of funding options for NHI have been proposed, these lack detail, and many questions about where the money will come from remain unanswered. James added: “By bringing the medical aid tax credit on budget, and allocating some of it to build better services in the public health sector, those with medical aid are cross-subsidising those without.” He called it an “act of health justice”. Sounds fine. But going on to hold up the Western Cape as an example of how it’s all going to work out should probably raise some red flags. It’s true that healthcare in the Western Cape is amongst the best in the country. It’s true that that province boasts a maternal mortality rate which, at 84 deaths per 100 000 live births, is almost half the comparative rate for the country. But that certainly doesn’t mean everyone in the Western Cape is enjoying equitable healthcare across the board, or that facilities can necessarily withstand scrutiny. Just last month Business Day revealed data from the Office of Health Standards Compliance, obtained via a Promotion of Access to Information Act (PAIA) application, which pointed to serious problems at public hospitals and clinics, including in the Western Cape. That paper said just two of the 149 clinics evaluated in the Western Cape, “generally considered to have a well-run health administration”, scored more than 70 percent in the most recent inspection. Also last month, unions and health professionals in that province warned that a jobs freeze in the health sector meant a crisis was inevitable. The DA plan focuses heavily on training, including an extra R1-billion in conditional grants to the Health Education and Training Platform, but staff retention is obviously of paramount importance to ensure there will always be teachers to teach the newcomers. Admittedly, however, the Western Cape’s health service emerged head and shoulders above other provinces in almost all indicators in the Health Systems Trust’s South African Health Review 2016. So there is clearly plenty that is also being done right. So what does the DA’s health plan foresee? James said it essentially ensured a comprehensive package of quality services within the public health system. It would be free at the point of access to everyone, while retaining and reforming the medical aid system. For those without medical aid, the promise is improved service at clinics and hospitals, better maternal and childcare provision, and free, efficient access at the point of service to emergency services in urban and rural areas. But that could well be easier said than done, many might argue. Even the DA concedes in its plan that efficient delivery of services in the public sector is compromised, and has been for the past 20 years, and that the primary healthcare system is “simply inadequate”. Those with medical aid are promised reduced medical aid costs, and access to more efficient ambulance services, free at the point of service. An added R1-billion a year to train medical, nursing and health professional staff. An added R2-billion a year for expanded maternal and child health programmes, for which qualifying clinics and hospitals would compete. An added R1-billion for a single number national public-private emergency service governed by an independent board. James added that medical scheme reform, in terms of the DA plan, would see schemes compete on the cost and quality of health services they cover, rather than on the risk groups they target. There would no longer be a situation where schemes were disadvantaged by, for example, an over-supply of older, sicker members. So a scheme with only young members would consequently transfer funds to such a disadvantaged scheme, so ensuring each scheme could price its benefits according to the same demographic profile. Medical aids are big business in South Africa, and whatever plans the DA has for them, they’re unlikely to fall into line without any fuss – especially if they deem the plan doesn’t benefit them. Although it’ll almost certainly be more palatable that the NHI system, which will, as it stands, allow them to provide only complementary or top-up cover once the project is fully implemented. Schemes collect R140-billion a year in contributions, even though fewer than 20 percent of South Africans actually have medical cover. A final obvious red flag is that the proposed system makes no provision for healthcare for the hundreds of thousands of refugees and asylum seekers whose permanent status in South Africa is pending. The report offers a universal subsidy only to “every South African citizen and legal resident”, irrespective of whether or not they’re covered by the public or private health system. It’s a concern that’s been argued by human rights activists and advocates for years, but excluding this group from any future health plan for the country is very short-sighted. What we do know if that free universal healthcare is possible, even in so-called third world countries. The Cuban health system is recognised worldwide for its excellence and efficiency. Even in the face of extremely limited resources and economic sanctions by the United States, it has guaranteed access for all, and obtained similar health results to those of the most developed nations. 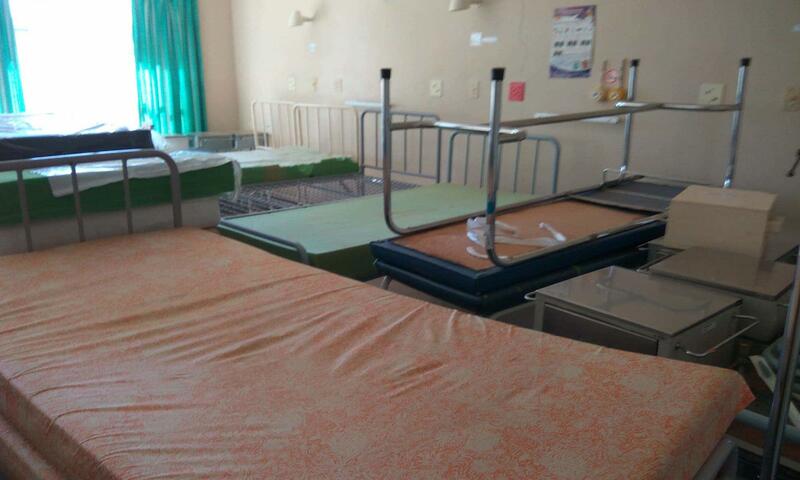 Closer to home, Botswana’s successful health system is dominated by the public health sector, which operates 98 percent of health facilities. That country’s delivery system is based on the primary health care model, which the DA health plan and the NHI also favour. Whether the DA will get the chance to implement its plan nationally obviously depends on the voters. But whether South Africans support the NHI ideal, or the alternative offering from the opposition, what’s clear is that the health system as it stands isn’t working as it should, and that an overhaul is absolutely essential.